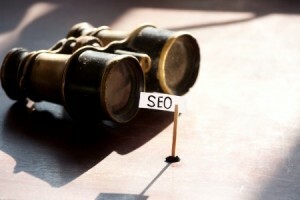 It has been said by many prominent SEO experts and enthusiasts that the future of the game is in local SEO tactics. As the internet becomes more and more competitive and crowded in broader search results and even generic niche searches, local SEO is the last frontier in which websites and brands can make reasonable headway in a short period of time. The key to local SEO should be focused more on visibility rather than rankings, as top rankings in local searches tend not to correlate as strongly with increased traffic as they do on other fronts. Below, we’ll talk about a few tactics and efforts you can focus on to boost visibility in SEO and draw isolated crowds to your website and brand. If you’re trying to rank well AND be prominently visible within Google local search results, then it only makes sense that you’ll have to target a variety of Google services to capitalize on this. Take Google Places for instance. This one entity will help boost your visibility in local search, on local shopping maps and even on generic Google Maps as well. Google Plus is another great away to associate your brand with a specific location, even if it is not the best social media network out there. Any Google-owned service can help in this regard to some extent, including YouTube, Google Shopping and many more. Pinging for SEO in a local sense is different than targeting SEO broadly, but targeting all Google services as a part of your visibility efforts will go a long way. In local searches, more information upfront is more valuable. Many people are used to searching for local products, services or brands only to find little to no information. The brands that stick out are the ones that have all of this information incorporated into their search results. Meta information will help readers see what your site offers before clicking on the link. While you might rank #1 in a local SERP without it, visitors are more likely to click on links below yours if they have the proper information listed. Likewise, schema markup (such as those little “review stars” you see next to a search result) can significantly provide incentive to a person to click on a particular link, so be sure you are using this as well. Scattered across the web and noticeable through a generic search, you’ll find plenty of websites that contain basic information for both your website and your brand’s physical location. Many of these entries are waiting to be “claimed”, and can provide great value to your local brand’s visibility in SERPs when used properly. Likewise, ignoring these can leave yourself vulnerable to competitors who might claim your pages on these sites and purposefully provide false information. In addition, any time a phone number or address changes, you’ll want to be able to update all of these to ensure you’re pinging for SEO with unified information. Otherwise, people may find incorrect contact information that leads them elsewhere, and Google and others may not associate all of this potential link juice together in a unified method.